Denmark. Home of quality hip-hop for decades already, this country is all too quickly overlooked. From a small town comes this duo that goes back like car seats. Since 93, these two have been honing their skills, doing live shows and DJ competitions and in 2006 they finally dropped their first legit album. Wherever you’ll read about these two, you won’t be able to find an article that doesn’t attempt to describe their sound with the term “boom-bap”, but they embody the old school spirit of the big sounds, the thumping bass, the live atmosphere, the love for the artform, and, in real old school fashion, the DJ is the center of attention. And rightly so: Static crafts incredible tracks packed with vocal cut after scratch after vocal cut etc. putting every bedroom DJ to shame. And Nat Ill does what an MC was originally meant to do: he praises his DJ, which is easy to do in his case. This is an album that doesn’t so much pretend to ooze philosophical wisdom, but it sure as hell packs a lot of heat and energy. 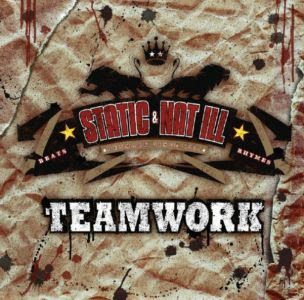 The two get some help from Promoe (Sweden), Pacewon, Last Emperor, Slug, Blueprint (US) and Abdominal (Can) on the mic, and they have DJ Shine and DJ Noize (both Denmark) murdering the DJ track on the album.